Operators are basically a type of function in this programming language that is used to perform a different number of operations on the different kinds of values and variables that are used in this programming language. 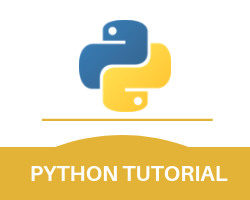 In this tutorial, we will also be looking at the Python conditional operator. The operators that are used in this programming language are divided or categorized into a number of different groups. Those groups are mentioned below. These are all the seven different types of operators that are used in this programming language. The Python arithmetic operators are used to perform a number of different common mathematical operations. These Python operators are used with different numeric values. And some of the Python operators examples are mentioned below. The assignment operators in this programming language are often used to assign different values to a number of different variables. And some of the Python operators examples are mentioned below. Comparison operators can basically be defined as the type of operators that are used in this programming language to compare any two particular values. And some of the Python operators examples are mentioned below. As a developer, while using this programming language if you wish to combine any type of conditional statements then to do that you must use the function of logical operators. And some of the Python operators examples are mentioned below. As a developer in this programming language, if you wish to compare any particular objects to check if they are the same objects which further have the same memory location and not to see if they are equal then you can use the function of the Identity Operators. And some of the Python operators examples are mentioned below. If you wish to test whether or not the sequence is presented in an object then you should use the Membership Operators. And some of the Python operators examples are mentioned below. If you wish to combine any kind of conditional statements while using this programming language then you should use logical operators.